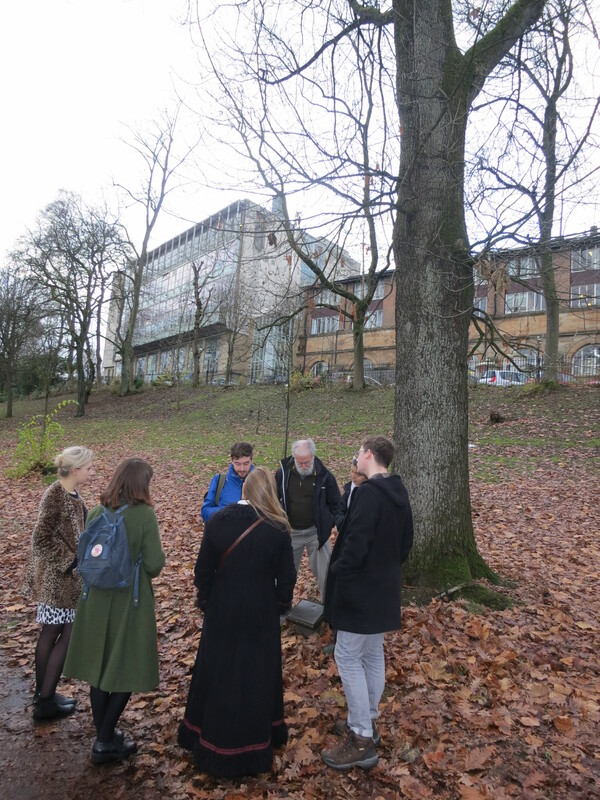 For national Tree Week, and collaborating with Adam Scarborough, on 27th Nov, from 10am-12noon, people were invited to meet at the Gilmorehill Centre on University Avenue, Glasgow. 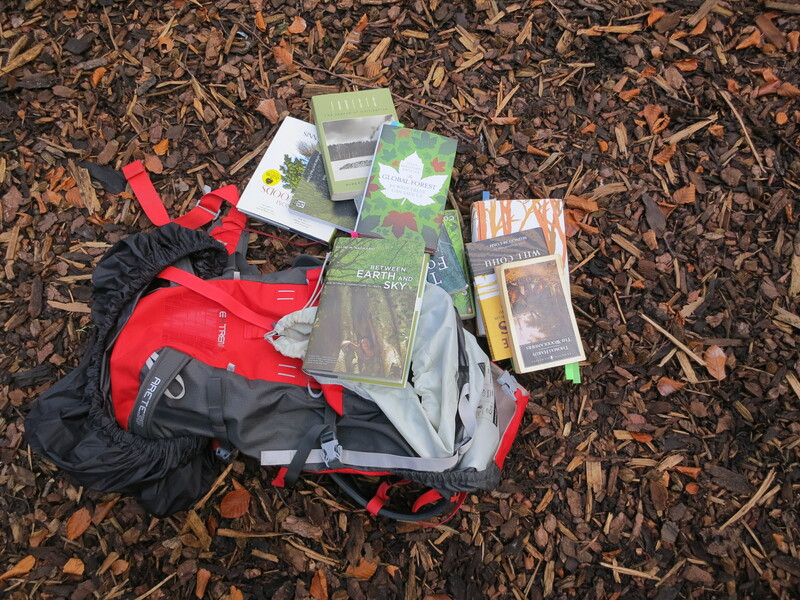 One Walking Library rucksack, carried by Dee, was filled with books about trees and forests, ranging from Sarah Maitland’s Gossip from the Forest, to Owain Jones and Paul Cloke’s The Place of Trees and Trees in their Place. Walkers also brought along their own tree-related books. 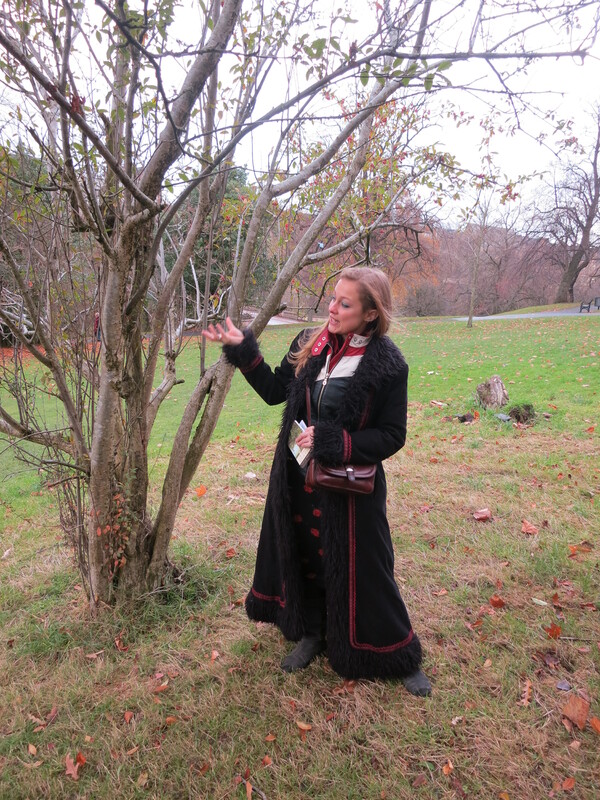 The instructions for our walk were simple: if you see a tree that seems to call out to you, walk us to it and we will pause there and share some readings and ideas. 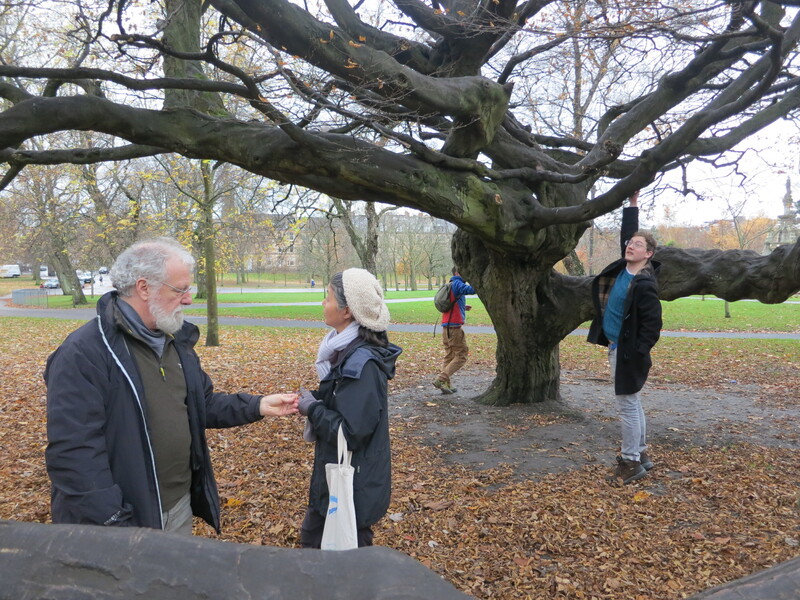 Dee walked the group to the first tree – the Suffragette Oak, planted by Glasgow’s Women’s Suffrage Organisation in 1918, marking the victory of women winning the right to vote. She read from Robert Pogue Harrison’s book, Forests: The Shadow of Civilisation. Located on the Kelvinway, the Suffragette Oak is a parochial monument to some (a daily reminder of perseverance, fighting for what is right and just), and entirely invisible to others. Adam also shared a reading about the injustice of tax breaks for rich celebrities who purchased tracts of private forest estates in Britain in the 1980s. Our feet took us into Kelvingrove Park, heading towards the bejewelled redness of some appleish fruits on what were otherwise denuded trees. Tim read from The Global Forest: 40 Ways Trees Can Save Us, by Diana Beresford-Kroeger, while Reiko tested the unknown fruit for us. 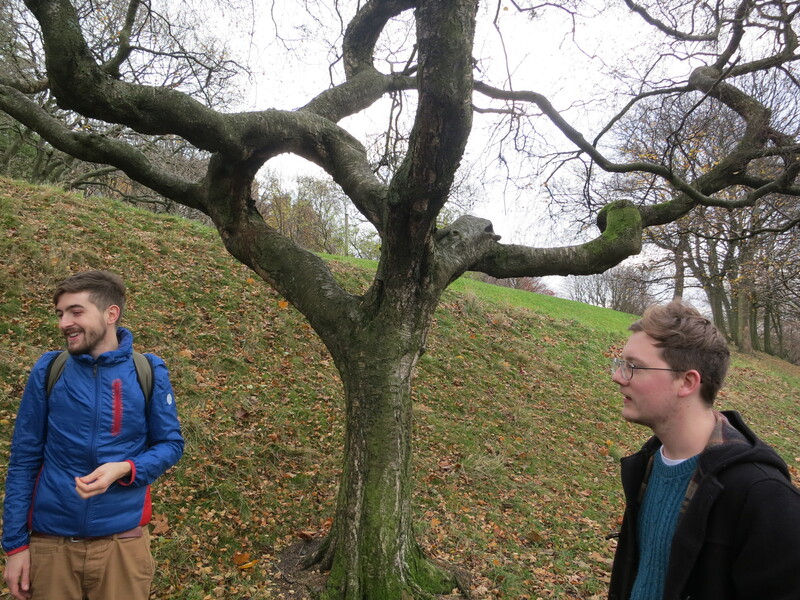 Laura ushered us towards a circular copse of small trees, recounting a story of her students bringing her here in the summer and then we are up a steep hill to marvel at a tree whose branches have made an oval. Perhaps inevitably we found ourselves called by the play tree – a tree that seems to have grown in order to accommodate play. 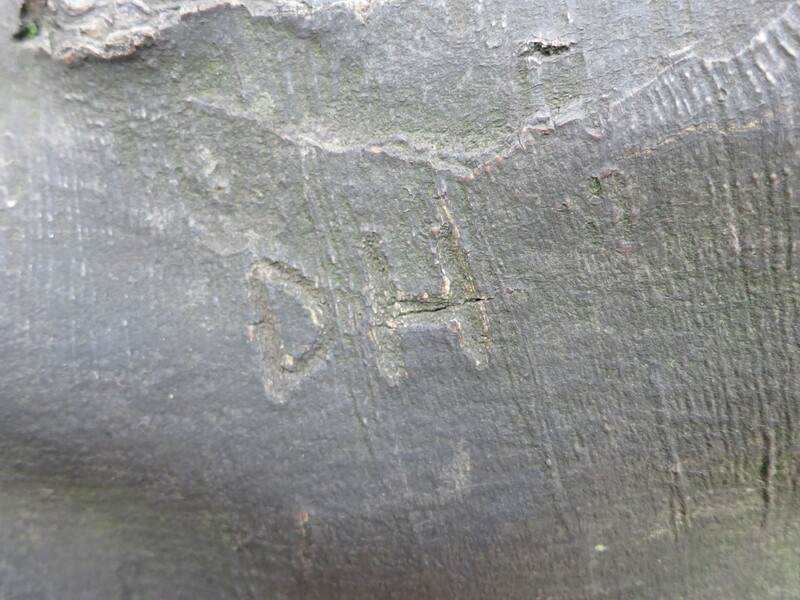 Adam pointed out to Dee the initials DH, carved into the branch. It wasn’t her, but she liked this reverberation from another time and self, another parochial monument. 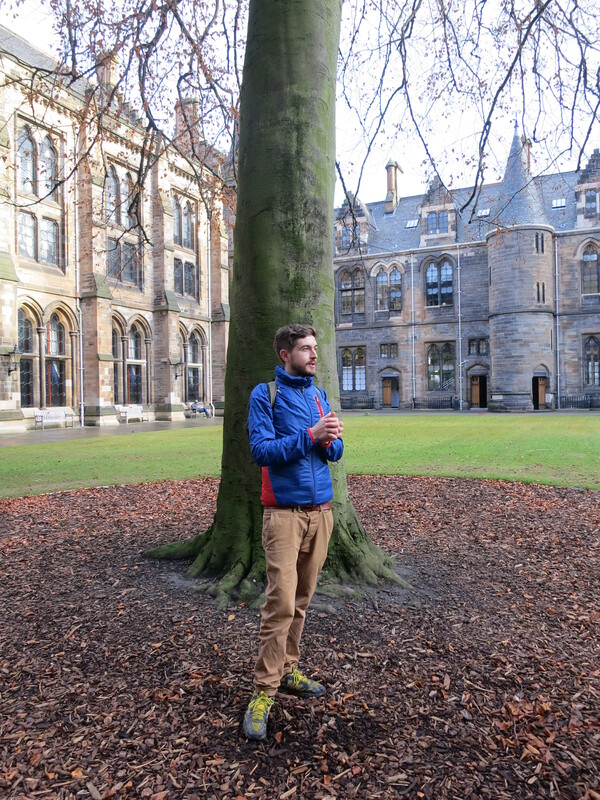 Adam led us out of the park and up the hill to the West Quadrangle of the University of Glasgow, site of a single, majestic beech tree. Here, he reflected on the learning discovered and relished whilst at university, and the learning undertaken beyond the confines of those sometimes restrictive structures. 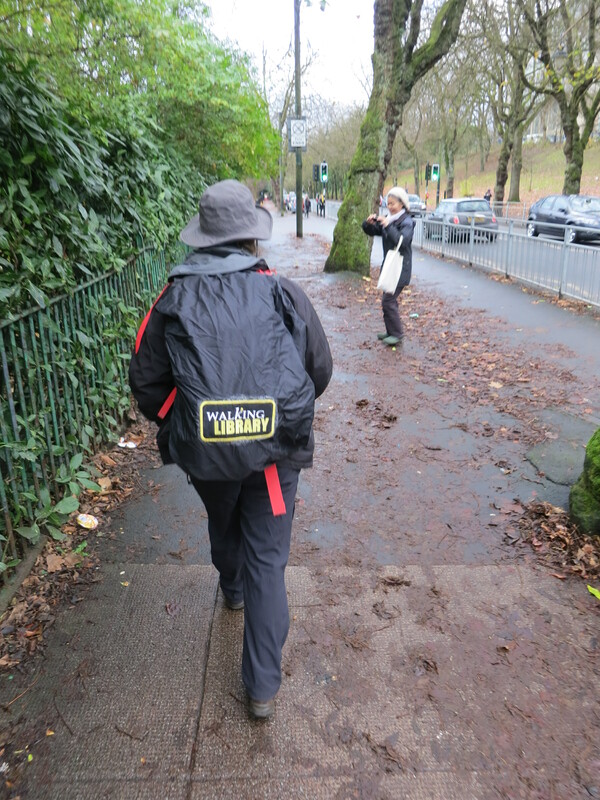 Our Walking Library, and the people who walk with it, offer rich resources for learning.